Pick up point will be Bagdogra airport/railway station from where you will proceed to Darjeeling. On arrival, check in the hotel and relax. Spend evening at leisure. Enjoy dinner and overnight stay in Darjeeling. After breakfast, enjoy full day sightseeing in Darjeeling. You can begin your tour with Tiger hill, Ghoom Monastery and Batasia Loop, which will take approx 3 hours. After lunch, visit Darjeeling zoo and Mountaineering Institute which is closed on Thursday. Later, visit Tenzing Rock, Gombu Rock and Tibetan Refugee Centre in the evening. You can go for shopping and buy souvenirs in the local markets of Darjeeling. 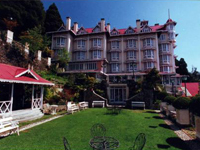 Return back to the hotel and enjoy overnight stay in Darjeeling. Early morning proceed to Kalimpong by road. On arrival, check in the hotel and freshen up. 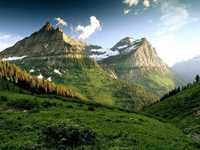 Enjoy half day sightseeing in Kalimpong. You can visit Delo Viewpoint, Orchid Nursery and Grahams Home. After lunch you can take a relaxing walk on Rinkingpong Road. Overnight stay in the hotel. 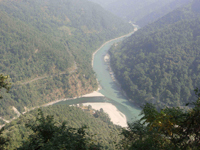 Our representative will drop you at the Bagdogra railway station/ airport for return journey.